Whether you’re used to seeing them covered in chocolate or hanging from trees, macadamia nuts are part of Maui, and are included in our farm-to-table culture. At Fork & Salad, we use them fresh on our salad ingredient line, and in our popular mac nut pesto (featured on several signature sandwiches). 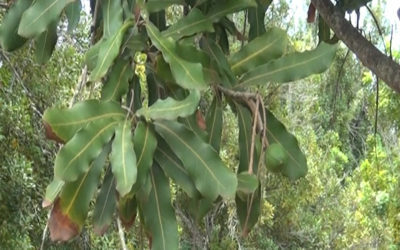 Waihe‘e Valley Plantation takes great pride in growing mac nuts in the most natural, sustainable ways possible. 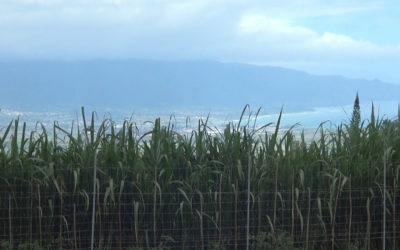 In this “Know Your Farmers” video, Chef Travis visits the peaceful Maui plantation, home to around 17,000 mac nut trees on more than 11,000 acres. 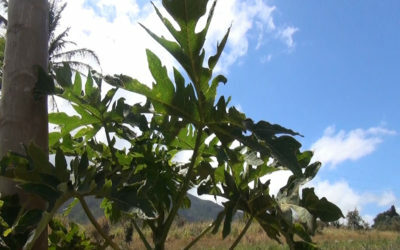 Get more details on the operation in our blog on Waihe‘e Valley Plantation. 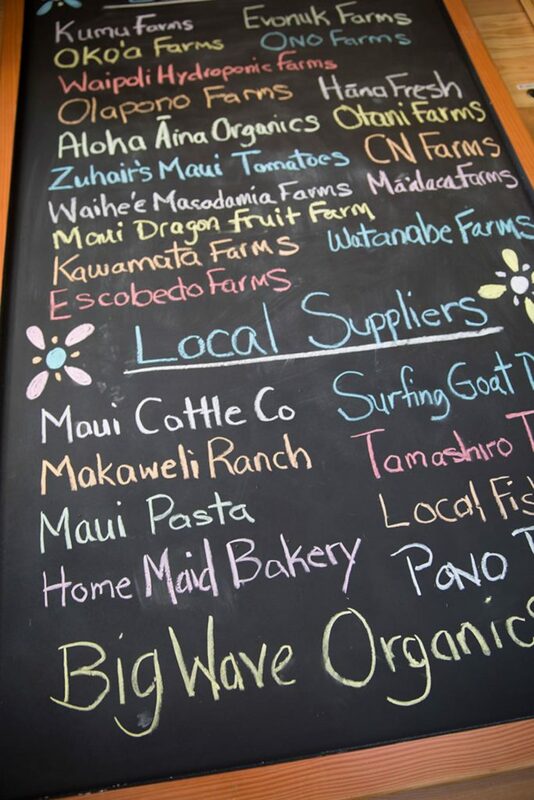 Kumu Farms in Waikapū has an outstanding reputation for quality produce, found at restaurants around the island and at its fresh farm stand at Maui Tropical Plantation. In this video, Chef Travis gives us a look at how the farm’s passion and mission connect with Fork & Salad. 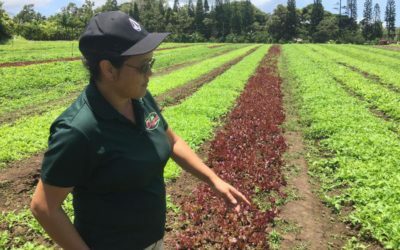 You’ll see lettuce from Waipoli Hydroponic Greens on store shelves and restaurant plates across the islands. Fork & Salad is happy to partner with them as well. In this video, our chefs tour the hydroponic farm to see first-hand how it’s grown into such a prominent and successful operation. 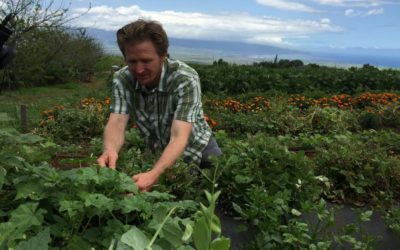 Oko‘a Farms is known for its special, diverse produce, and has built an impressive presence at the upcountry Farmers Market on Saturdays. In this video, Chef Travis gets an up-close look at what it takes to care for an amazing array of 60+ crops, and finds out why the farm calls itself Oko‘a! 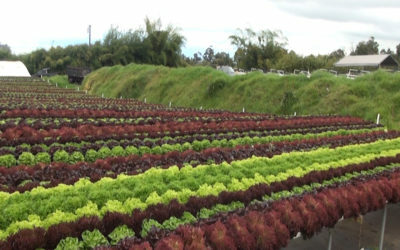 Aloha ‘Āina Organics is a 10-acre, certified-organic baby greens farm located in Ha‘ikū, Maui. Mixed greens can contain up to 14 different varieties — all of which are hand-picked. Organic pest control includes blow torching for weeds, netting fields with screens, and washing greens with fresh lemon juice. They have been supplying the chefs’ other restaurant, Three’s Bar and Grill in Kīhei, for more than six years!